Landec Needed to Acquire Non-Food Companies to Change its Profile on Wall St.
Landec Corporation (Nasdaq: LNDC) is a materials science company that develops and markets patented polymer products for food, agriculture, personal care and drug delivery applications. The TKO Miller had worked with Landec previously with its licensing of personal care market applications to Air Products and Chemicals. Landec engaged the TKO Miller team on a buy-side assignment that would expand Landec’s capabilities in areas synergistic to the company’s advanced polymers business. 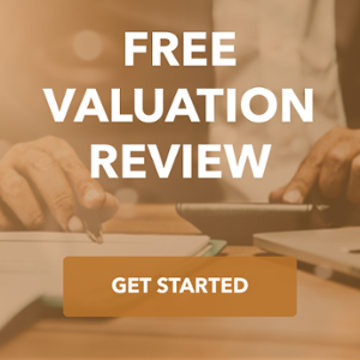 The search yielded several promising acquisition candidates, including Lifecore Biomedical, a developer and manufacturer of technologically-advanced biomaterials used in a wide and growing range of therapeutic treatments in the ophthalmic, orthopedic and veterinary markets. 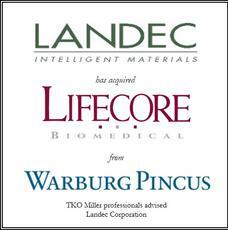 The TKO Miller team coordinated negotiations between Landec and the private equity owner of Lifecore, Warburg Pincus Private Equity, and assisted in due diligence activities. The purchase price for Lifecore was $44.0 million, including $40.0 million in cash and $4.0 million in assumed debt. The Lifecore shareholders could receive additional payments up to $10.0 million, provided Lifecore achieves certain financial objectives in 2011 and 2012. The acquisition of Lifecore significantly advances Landec’s commitment to advanced materials and achieves three stated objectives of Landec’s acquisition strategy: to expand into growth areas beyond the company’s core food technology, to invest in biomaterials that have synergies with the company’s Intelimer® polymers, and to make acquisitions that are immediately accretive to Landec’s profitability.